A new proposal looks set to determine a bleak future for wildlife in need of human care, writes Victoria Pressler. A VICTORIAN GOVERNMENT discussion paper has put forward a proposal to ban wildlife carers from rescuing and rehabilitating species of kangaroo, wombats, cockatoos and possums. The proposal, which was floated by the Department of Environment, Land, Water and Planning (DELWP), suggests that wildlife shelters and carers allocate too much of their resources towards caring for animals, which the department deems as “overabundant”. For some carers, there was a sense of indignation about the prospect of the Government dictating to them how and where their funds should be allocated, especially since wildlife shelters are almost always self-funded, with many carers using their personal income and donations from the general public to keep afloat and with little to no financial assistance from the Government. 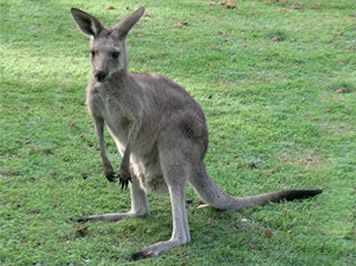 The discussion paper, however, uses Eastern Grey kangaroo rehabilitation restrictions in the A.C.T. as a pretext for bringing laws into effect in Victoria, whilst clearly thinking beyond the A.C.T.’s measures by suggesting many other Australian native animals should be included. Many wildlife groups and volunteers have taken opposition to this proposal, with posts appearing online condemning the proposal. Questions have been raised by some in the caring community about the review, and whether it is placating the wishes of landowners, hunters and those with a commercial vested interest over wildlife sanctuaries and carers. The review comes on the heels of the Department’s decision to extend a trial for Victoria’s kangaroo pet food industry. The trial, which began in 2014, allows hunters either with an ATCW licence, or those operating in an area where certain animals are unprotected, to cull up to 189,086 kangaroos, including Eastern Grey, Western Grey and Reds. As part of the scheme, a management plan has been implemented to export the skins of the kangaroos culled. Whilst some industry insiders say that the kangaroo carcasses would otherwise go to waste if not utilised by the pet meat industry, the amount of kangaroos processed falls far short of the amount of kangaroos killed each year. There are also worries that with the additional kangaroos slaughtered, there will be more unnecessary deaths of joeys, with thousands dying at the hands of hunters by government-mandated acceptable euthanasia methods, including decapitation and a forceful blow to the head. Many hunters, however, leave the joeys behind to starve to death or be killed by predators. Though the plan could be dire for future of many kangaroos nurtured back to health by carers, among the wildlife rescuing community are those who will defy the ban if legalised. Though the ban is only speculated at this point, it may be discussed in future reviews of the wildlife shelter system. Victoria Pressler is a freelance writer who grew up in the UK and is currently living in Melbourne. She has a Bachelor's degree in English with Journalism and has a strong interest in human and animal rights. Corpse controversy: Are the bodies of tortured Chinese prisoners being used in Sydney exhibition?